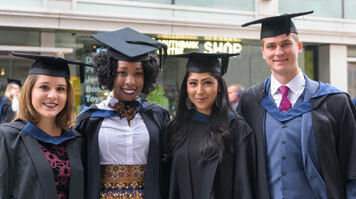 LSBU Graduation held at the Royal Festival Hall is a chance for graduates to recognise their achievement and celebrate the occasion with family and friends. The School of Arts and Creative Industries graduation ceremony (PDF File 124 KB) takes place at 11am. The School of Applied Sciences graduation ceremony (PDF File 68 KB) takes place at 11am. The School of Law and Social Sciences graduation ceremony (PDF File 77 KB) takes place at 3pm.